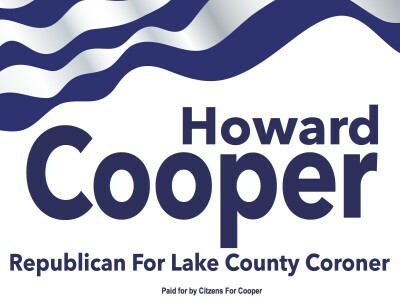 BANNOCKBURN – Lake County Republican Precinct Committeeman and community volunteer, Dr. Howard Cooper, today announced his candidacy for the Republican nomination to the office of Lake County Coroner. Cooper would face incumbent Democrat Coroner Thomas Rudd in November, 2016, should Rudd choose to seek re-election. The office of the Coroner has come under fire in recent years with allegations of erroneous cause of death findings, mishandled evidence, conflicts of interest, insensitivity to the families of the deceased, and public disclosure of confidential evidence during ongoing death investigations.